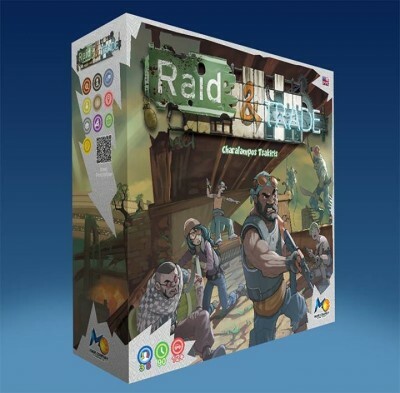 Mage Company will be bringing Raid & Trade, one of their new board games, with them to Essen. From the ashes of a devastating third World War, a precious few golden cities emerge offering hope to those who struggle for survival in the wastelands. Players explore the ruins of the modern world completing quests, honing their skills and maneuvering for social status in order to claim a precious spot as a citizen with a Golden City. Raid & Trade funds on Kickstarter starting November 3rd and will be demoed at MAGE Company booth Hall 3 - Stand 3-O103 at Essen Spiel 16-19/10, in Germany!